Sri Lanka recently wrapped up the Commonwealth Heads of Government Meeting (CHOGM) 2013 amid much controversy. Despite the the prestige of being selected as the venue for the meeting, Mahinda Rajapaksa, the Sri Lankan president, was assailed from across the Commonwealth for his country’s poor human rights record. The UK’s David Cameron, Canada’s Stephen Harper, and neighboring India’s Manmohan Singh all faced immense domestic pressure over the meeting because their attendance would have been perceived as a tacit acknowledgement that Sri Lanka’s poor human rights record is irrelevant. Harper and Singh ultimately did not themselves attend the meeting. This rhetoric from the Chinese is a fundamental departure from their earlier support for Rajapaksa’s government. 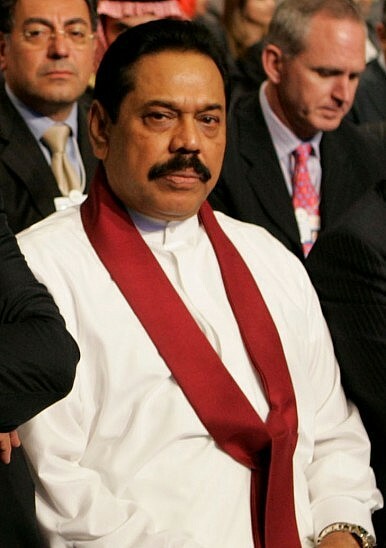 According to The Hindu, the Chinese “when asked about international criticism aimed at Sri Lanka in the lead-up to a United States-backed resolution at the U.N. Human Rights Council, … lauded Mahinda Rajapaksa’s government for making ‘great strides’ in promoting human rights.” China also stated that Sri Lanka’s internal affairs should be left to Sri Lankans. This seems consistent with expert perceptions of China’s human rights policy. A Human Rights Watch report from 2011 notes that “main concern at the [human rights council] appears to be to protect state sovereignty from what it considers undue interference in domestic affairs through overly critical resolutions.” The statement could also reflect China’s desire to be seen as a responsible great power in Asia — it is known to periodically make its commitment to international norms known through public statements. Nevertheless, the statement must come as somewhat of a surprise for Sri Lanka, which has cooperated with China extensively in fomenting its own economic development. Reports indicate that after the three-decade long civil war came to a close in 2009, China was quick to reap the benefits of political stability by immediately emerging as Sri Lanka’s largest creditor. China loaned the island state $1.2 billion — more than India — as it attempted to make major strategic inroads with Rajapaksa. Future investment inflow is expected to exceed $4 billion. As I’ve written before, India missed an important opportunity with CHOGM 2013 to make inroads with Sri Lanka bilaterally and establish itself as a regional leader. Concern over China’s influence in Sri Lanka has recently risen to the top of the agenda for the Indian strategic community — the relationship is perceived as one of the most threatening nodes in China’s so-called “String of Pearls” strategy. Indeed, certain strategists will point out that China’s support for Sri Lanka saw a major uptick in 2012 after its Defense Secretary Gotabaya Rajapaksa visited Beijing to discuss military cooperation and strategic ties with then-Chinese Minister of National Defense Liang Guanglie. As for Sri Lanka, the Chinese statement on its human rights record is sure to cause some discomfort. China has been a valuable partner for the small nation in multilateral fora over the human rights question, and doubting its support now could be destabilizing to the bilateral relationship. Sri Lanka will face a U.S. sponsored resolution on its human rights violations at the next UNHRC session, expected to take place in March 2014.